Customizable online Enrollment options that simplify the registration process. Make your enrollment completely self-service. 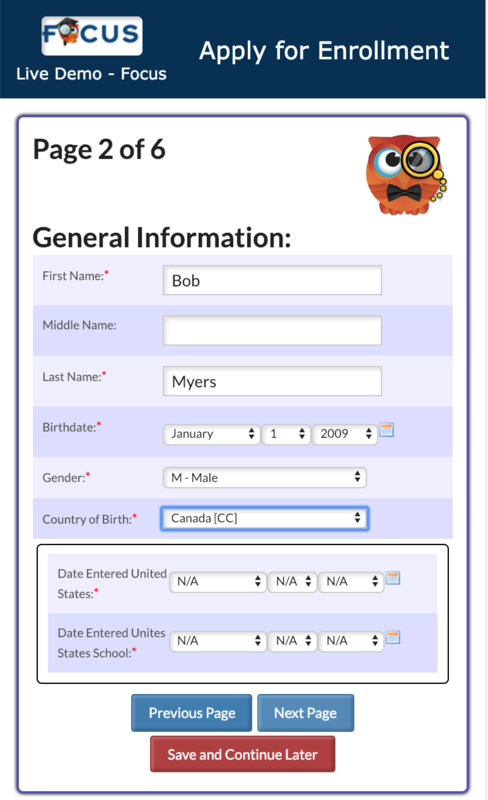 Easily collect yellow card information and keep contact information up-to-date. Process annual re-enrollment paperwork in 1 click. Keep your data clean with easy to configure Edit Rules. Give Parents Choice with Focus’ online school choice system.